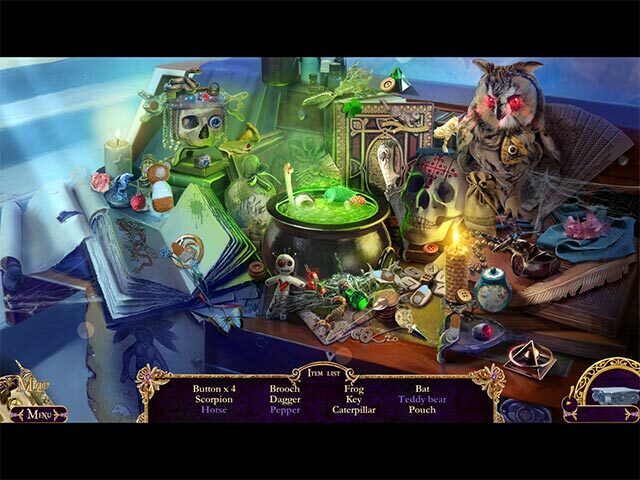 Rated 4 out of 5 by rpggramma from Good game Enjoyed this game; was challenging for me! I spent 2 days on one HO! (Couldn't find one object) Storyline did not make me recall the first story, so it did not seem as a continuation. I had to return to the story to remember it. Graphics are very good. Map is very good; but no journal! I needed some info a couple of times, and needed a journal. The HOs are good, not junky, but some of them make you work. Puzzles are always great; a few gave me pause, but I struggled through. "Elephant" is always a winner! Rated 4 out of 5 by cejene from Liked the Story. The graphics and voiceovers are fabulous. Love the skull sighing after a hint. Good map. 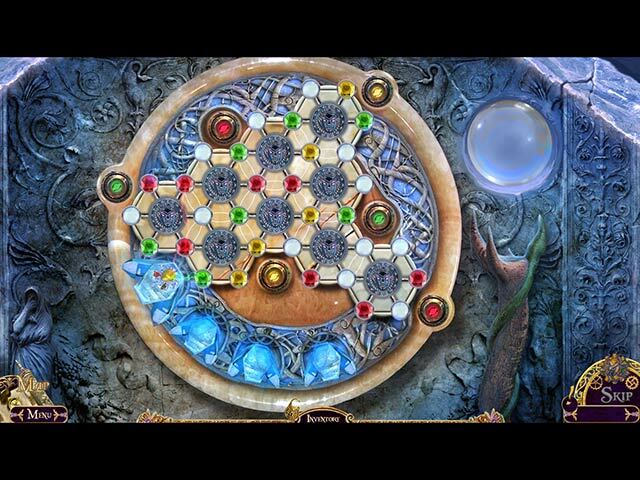 Don’t feel it is a challenging game and thinking it must be very short. Don't think I will be buying this game. Try it yourself. Rated 4 out of 5 by mrm2006 from Wow - What a Difference an SE Makes! Please pardon any typos - my eyes are giving me a lot of trouble today. Well, I had to go back and re-read my CE review several times and each time I read it, I remembered all the reasons I disliked the CE version of the game. But, since it was 90 minutes of free play, I thought I'd give the SE a chance and see what it's all about - and I am very glad I did. Storyline: You have helped Princess before. It's been 5 years and you receive another plea of help from her. She was finally reunited with her mother - after 5 very long years for a young girl to endure. Just as they hug, her mother is yanked out of her grasp by trees. Where did she go? What is happening? What happened to Princess' magic that she can't do this on her own? Play the game to get all those answers and more. Graphics: Beautiful. Astonishing colors of ice, caves, freed souls and more. Just beautiful. Sound: Sorry. Just got a new little puppy and she was sleeping near me so I kept the volume turned way down. Game Play: Princess has asked you again to help find her mother so off you go to be the gallant Prince on a White Horses saving the Damsel in Distress (it's an analogy). There is quite a bit of everything going on in just the free demo. Stone statues coming to life, willow-o-wisps being captured to relegate a story to you, Souls being freed, and more and more and more. HOGs: Your typical list with some interactive items to find. Not difficult to find anything. No miasma of items. No monochromatic color that blends everything together. No tiny items you can barely see. HOGs were fun. Boring at times but fun. Mini Games: I enjoyed all the mini games and was glad of the extra 30 minutes Game Play so I didn't have to rush through and possibly skip to get back into the game play. Some took time to think things through. I did skip on one. You can figure that one for yourself. HAH! I still wonder at the length of the game because I completed the SE demo with 27 minutes to spare. That's a lot of time and it does make me wary. I also did not find as much hand holding in the SE version as I did the CE version. Go figure - same game right? The CE version seemed to play rapidly, almost at a dizzying pace; while the SE version seemed to progress at a more reasonable pace. This Glam-ma thinks you will totally enjoy this game and highly recommends you play the SE demo, even if you have already played the CE demo. I don't know why, but there is a difference of the fluidity of the game from one to the other. I MUCH prefer the SE to the point that it is definitely going on my wish list. I hope you enjoy this SE version as much as I did. The review of this game is based on this Glam-ma's unbiased opinion - and only mine. Therefore, if you found this review to be helpful, please click on the "yes" button below. There is also a "no" button. Seriously? You'd give your Glam-ma a "no"? Kidding. Happy Gaming! Rated 4 out of 5 by 0Jade from Pure Elvish Majik A story with disembodies skulls, sorcery, magic, witchcraft, elves, rebellion and death. If this subjects intrigue you, then this is the game for you. Fabulous audio, voiceovers, artwork and visuals. Navigatable Map - in fact, the game may help you a bit too much... guess that's up to the individual, and there are multiple levels of difficulty to reduce some of the hand-holding. I came across a few, maybe 5 straight hogs, and three mini games. The first was like a paint by number, the second was an order of operation game, and the third was manipulating a ball to put pieces into order. All three games ever fairly easy, but enjoyable. Strategy guide appears to be a separate purchase, but I'm not sure about that - there are 6 chapters. I did not see any collectibles at all. Overall good effort, and they obviously worked very hard on it, but I'm still on the fence about whether it's CE qualified. Rated 3 out of 5 by ninja226 from Disappointing ending to otherwise decent HO adventure game Having played this game to its completion, I cannot for the life of me, recall who or what the "Queen of Shadow" is. 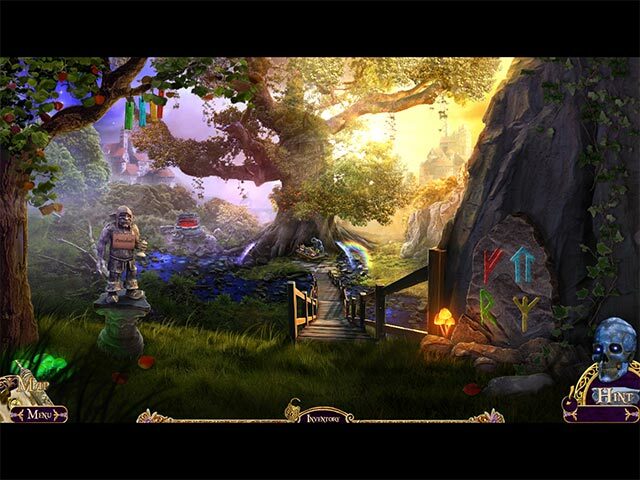 This is a fantasy, mythical HO adventure game that takes place in a mystical past inhabited by elves, goblins, and wizards.The graphics are pretty good, but the people look so fake and computer-generated. The detective quest is pretty straightforward, with most tasks being logical or intuitive. There is a lot of backtracking to past scenes as you progress to new scenes. You always have to go back to places visited before to retrieve items. Mini games are not too hard, but get harder towards the end. HO scenes have the usual interactions and a few, very small, and well hidden, items tricky to find. Despite the large file size (implying a long game), it's not a very long game.The ending is very abrupt and disappointing. You'll be left saying, "That's it?" at the end. Not satisfying at all after all the build up. Rated 3 out of 5 by Italia47 from Be prepared to do a lot of repairing in this game! I'm halfway through this SE version and, undoubtedly, I am somewhat enjoying the tasks and the puzzles and the HOS. No hand holding here; but why would I want to complete a whole set of tasks, scene by scene, and return to whence I came over and over again. It's ludicrous! I saved Princess once only to be thwarted again by the bad guy! It's like I have to start all over again! Selena, her mother, who is a witch, can't even save her, probably because she's tired of going back n' forth as I am. I did enjoy bringing the statues to life. That was very cool! The artwork is very lovely but the objects are rather small. I mean no disrespect to the devs, but the HOS look like junk piles, which detracts from the nice artwork, in my opinion. The game is rather cute, though, and not the worst game I've ever played. Granted, you do have a lot to do but again you will have to go back n' forth which is challenging in and of itself, but in this case, annoying to me. I'd rather move on and get on with it! I love the concept, ingenuity of the tasks, the attention to detail, but the gameplay is disorganized. The map is good but I don't want to have to go back to the house and through the woods and over the water one more time. I'm giving this game a 3.50 star rating. Try out the demo and decide for yourselves. Rated 3 out of 5 by un1cornr0se from Not my cup of tea I was looking forward to this after playing Royal Detectivake: Statues. While the graphics were pretty and the music were ok, the game play was easy and quite obvious, even on a difficult setting. I have played better HOGs with better puzzles and HOS. This one was not for me. Rated 3 out of 5 by Yanie1020 from Loved the First One; Disappointed in This one The story was so disjointed; there was no flow to it at all. Some of the inventory items were used in strange places. I don't mind some improvising, but so many things just didn't make sense. I really loved the first Royal Statues. It's one of my favorites. This one didn't compare, in my opinion. I felt like they rushed it through just to get it completed. Can't recommend it. Rated 3 out of 5 by dancemom1 from Good for an SE Hi all. Well, my original review for the CE version still stands. Graphics and game play are the usual Elephant standard. Nothing new or exciting in this game at all. HOPs and puzzles were extremely simple and took no real thought to complete. Although I did like the story and the "bring the statue to life" part of the game, I still do not feel it is CE worthy. There is no challenge, but after playing the SE version, I have decided that I will purchase this game to add to my collection. I do have the need to play it out and see what happens, but will not be purchasing the CE version. As always, try it for yourself and see what you think. We all have different tastes in games and you may find this one to be exactly what you are looking for. Thanks for the reviews. Rated 2 out of 5 by watson13 from Dark Forces Galore When I bought Royal Detective: The Lord of Statues I did enjoy playing it: lovely graphics, fine HOGs, funny helpers. 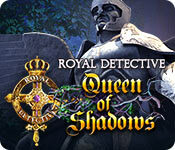 So when I finished it I bought: Royal Detective: Queen of Shadows without a shade of doubt. Wrong choice, wrong game. When you buy a game you are supposed to enjoy it. Not in this case: so much evil to fight and vanquish. Too tedious and monotonous as you have to fight monsters over and over again. You hop from place to place (luckily there is teleport) and try to defeat bad guys and girls who seem to multiply and get even more fierce. So it is harder and more complicated to combat them. Having tried to play the game to the end, I developed a headache. Getting hints from a Skull was the last straw. Rated 2 out of 5 by scamp69 from Royal Detective: Queen of Shadows SE, day early review The reviews for the CE were 3ish (except for the ones who always give 5's). CE definitely not CE worthy. This story is childish/dumb. Good parts: jump-map, some fun puzzles. My guess is Elephant did it again - brought an old thing off the shelf, tweeked and released. Shame on you! If you can produce Grim Tales: The Vengeance CE - this is the quality we expect! Hint: when you check Reviews - look for the lowest ratings first, I do. Would not waste a Punch on this!